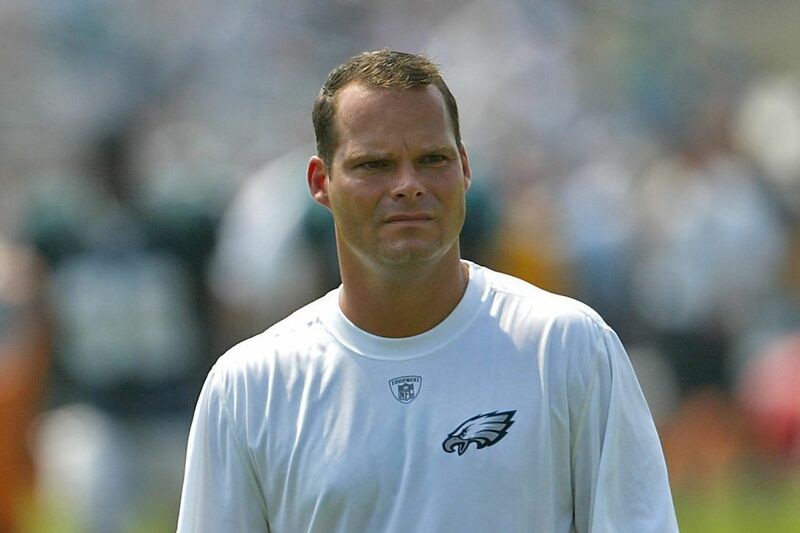 Tom Heckert was vice president of player personnel when the Eagles went to the Super Bowl in 2005. Tom Heckert, 51, the Eagles' vice president of player personnel when they went to Super Bowl XXXIX in 2005 and the team's general manager from 2006 to 2009, died Sunday evening, the Denver Broncos announced. Heckert, son of the late Miami Dolphins personnel executive Tom Heckert Sr., worked most recently for the Broncos. He stepped away from that team in 2017 after receiving a diagnosis of amyloidosis, a rare disease that causes the production of excess protein in organs. Heckert joined the Eagles in 2001 and left in 2010– after the team made seven playoff appearances in his nine seasons — to become general manager of the Cleveland Browns. Like many executives before and since, he did not find success with the Browns. His Cleveland tenure was marked by the trade-up to draft running back Trent Richardson third overall in 2012. But other picks were more successful, including the drafting of cornerback Joe Haden seventh overall in 2010. Heckert and Browns coach Pat Shurmur both were fired from Cleveland by Joe Banner, for whom they had worked when all three were with the Eagles. Heckert joined the Broncos' personnel department in 2013 and played a role in their Super Bowl 50 victory. "We are saddened to learn of Tom Heckert's passing. Tom gave everything he had to this organization for nine seasons and played a major role in the construction and success of our team during that time," Eagles chairman Jeffrey Lurie said in a statement released by the team. "In addition to being a talented evaluator and respected voice, he was a mentor and friend to so many within our organization and around the league. He will be greatly missed by all who knew and worked with him and our hearts go out to his family during this difficult time." Howie Roseman, the Eagles' football operations vice president, said: "Tom came to Philly in 2001 and made an instant impact on and off the field. He hired great people and his legacy is seen throughout the league in high-ranking front office positions and how many people today are talking about him and telling Heckert stories. He took the time to help all of us get better and learn more about how to evaluate and build teams. His record as a GM was outstanding. When he worked here everyone wanted to be around him and listen to his stories about his time in the league and his experiences around the game. He was one of the first people to congratulate us all when we won the Super Bowl. Thoughts and prayers with his family, including his kids." Broncos director of player personnel Matt Russell was an Eagles scout during Heckert's time here. "Tom hired me in Philadelphia and was a beloved friend for many years," Russell said in a statement provided by the Broncos. "The biggest thing with Tom was his loyalty, how he cared about his friends and how good he was at his job. Tom was one of the best because he combined exceptional player evaluation skills with his incredible network of connections around the NFL. Those relationships he formed are a testament to how well he treated everyone. Tom was a loyal friend, and my heart goes out to his family." Kansas City coach Andy Reid, the former Eagles coach, said in a text message that Heckert "was a great friend, No. 1. His gift to listen, then digest the whole situation and make it right was unreal. He had a sixth sense for personnel decision-making. "He loved the Eagles and the city of Philadelphia. He loved the NFL. He also really, really, loved his family. He will be missed, but we are all so much better for having him in our lives. I, as many others did, loved Tom Heckert!" A number of former Eagles expressed their condolences via social media. "He gave me a chance when others didn't. Rest easy, Tom," former Eagles center Jamaal Jackson said on Twitter. The Eagles signed Jackson as an undrafted free agent in 2003 and he became the starter in 2005, starting every game from 2006 to 2008. Heckert is survived by his mother, Rose; his former wife, Kathy; and his children, Griffin and Madison. In recent Facebook photos, he seemed to be enjoying boating and fishing in Northern Michigan, where he had retired. Heckert hailed from Adrian, Mich., and was a graduate of Hillsdale College, where he was a defensive back. He coached there for two seasons before beginning his pro personnel career under his father with the Dolphins.